The Society for Machines and Mentality (SFMM) is a special interest group of the International Association for Computing and Philosophy (IACAP). The Machines and Mentality track is organized by the SFMM. The Society for Machines and Mentality (SFMM) was founded by James Fetzer and held its first symposium in 1992. Its purpose is to advance philosophical understanding of issues involving artificial intelligence, philosophy, and cognitive science. Its past presidents have been William Rapaport, David Cole, William Bechtel, Paul Thagard, John Pollock, James Moor, Selmer Bringsjord, Jack Copeland, Brian Rosmaita, and Eric Steinhart. In 2009, SFMM became a special interest group of IACAP. The current director of SFMM and executive director of IACAP is Marcello Guarini. 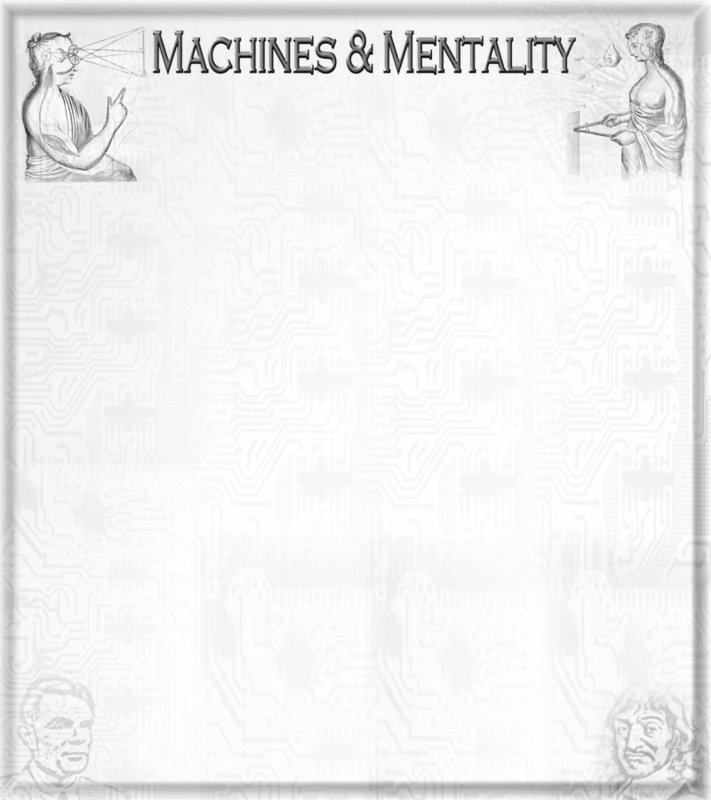 The official journal of SFMM and IACAP is Minds and Machines. Conferences devoted entirely to Computing and Philosophy (CAP) started in the United States in 1986. The CAP organization grew and became the International Association of Computing and Philosophy (IACAP) in 2004. Yearly conferences were held in North America (NA-CAP), Europe (EU-CAP), and Asia and the Pacific Rim (AP-CAP). Starting in 2011, IACAP simplified its structure and chose to go with one world congress every year. The current president of IACAP is Anthony Beavers; the past president is Luciano Floridi.